Remember coloring as a young child and the joy of filling page-after-page with bright colors of your choosing? Today’s kids had better hold onto their crayons because coloring isn’t just for them anymore. 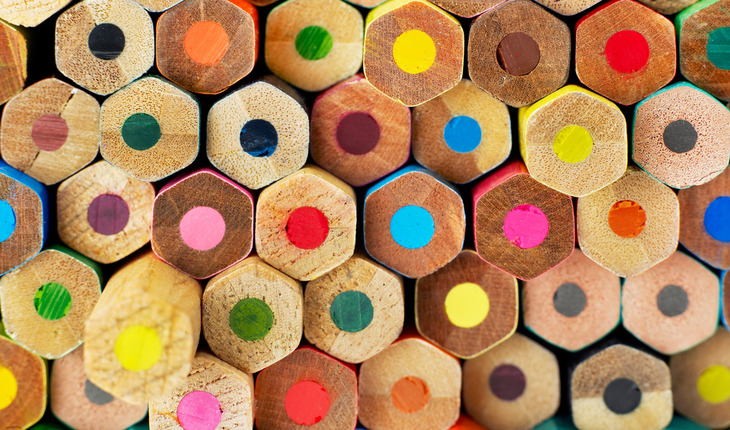 Grownups, across Europe and now the U.S., are hopping on the coloring bandwagon. Adult coloring began trending last year when enthusiasts – mostly women – began posting their vibrant creations on social networking sites like Pinterest, Instagram and Facebook. In addition to sharing the images, ardent fans told their personal stories about using coloring as a soothing, creative way to unplug from the high-paced, digital world. Before long, informal coloring gatherings for adults had begun to sprout up. Organized coloring groups appeared next and soon there were professional coloring classes. Caught off-guard, retailers couldn’t keep up with demand. A shortage of the most popular coloring books attracted media coverage, fueling even stronger sales. The coloring craze continued to grow. By June of this year, Amazon reported its biggest selling items were a handful of adult coloring books, and the books were so popular they couldn’t keep them in stock. To everyone’s surprise, adult coloring had gone mainstream. I became aware of the coloring trend last spring when I came across a New York Times article online. Intrigued with the notion of using coloring as a destressing activity, I decided to give it a try. While most colorists use pencils and very thin markers, I opted for a new pack of trusty crayons and a selection of small cards for my first project. From the start, I could see the attraction. The motion of coloring is calming, and I enjoyed the process of selecting colors and working through the drawing to completion. I wouldn’t say coloring has transformed my life, but it does provide a welcome reprieve from the incessant chatter going on inside my mind. Grownup coloring isn’t entirely new. What’s different now is the size of the market and the variety of intricate, high-quality, stylized coloring books. Created by talented artists, these are not your children’s coloring books. Visit the Barnes and Noble website, to see adult coloring books spanning a wide range of subjects from flowers, cityscapes, wildlife, modern art, and mosaics. Amazon offers an even larger selection of sophisticated coloring books and accessories. Prices range from a few dollars to a few hundred. However, coloring remains a relatively affordable hobby as quality books can be purchased for around $10, plus the price of the colored pencils. Fischer has colored nearly all her life, first as a child, later as a college student and then as the mother of three girls. Now at midlife, Fischer turns to coloring when she feels the need to relax and chill out. Of course, coloring is not without its detractors. While enthusiasts boast about creating something beautiful, naysayers turn up their noses as what they see as a passing fad. Artists, for instance, argue coloring can’t be considered art or even a creative process. To them, it is merely the act of selecting a color pencil and then filling in between designated lines. Therapists have also jumped on the bandwagon, writing off coloring as a harmless pastime but certainly not a substitute for actual art therapy. Aficionados of coloring are equally adamant that it is indeed a creative process. That creativity, they counter, is apparent when you look at the same design colored by two different people. The color choices and style of coloring, such as shading or mixing colors, make the completed pieces look entirely different. Additionally, supporters note some coloring books offer partial designs with blank spaces for a person to add her or his creativity to the design. Proponents also point out certain anecdotal health benefits, such as relieving stress and anxiety, promoting focus and logic, and enhancing creativity. Even though it has its detractors, the coloring craze hasn’t escaped Hollywood. Creators of the popular HBO series “Game of Thrones” recently announced a coloring book for fans will soon be available. Other television shows may follow suit. Better sharpen your pencils. It looks like coloring for adults may be here to stay.